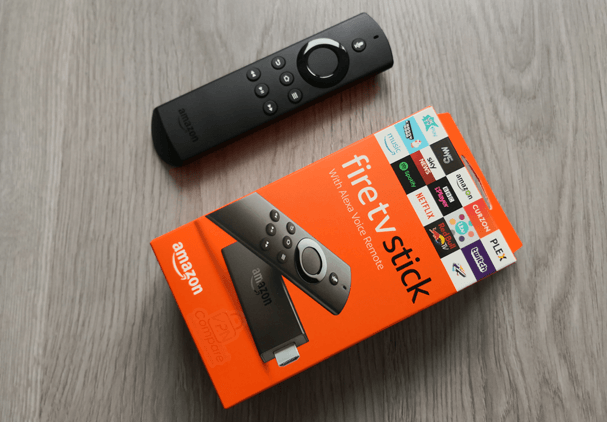 The Amazon Fire TV Stick, or Firestick as it is more commonly referred, is a portable device which has revolutionised the way many people are enjoying their media and in this guide we will show you how you can use it anywhere in the world. While the idea of streaming your TV shows and movies has been around for a while, the right device for doing this has been hard to come by. Smart TV’s never really captured the public imagination, mobile devices are great but small screens are annoying, and the size and resolution of most laptops and computer monitors are often not great too. The arrival of the Firestick quickly filled this gap in the market. This portable HDMI device could be plugged into just about any TV and provided users with a portable, flexible, cheap and easy-to-use device to stream all their viewing through. Buy: If you don’t already have a Firestick, buy one here. You can download apps for almost every online streaming platform onto a Firestick and its small size means you can then take all your viewing with you wherever you go. Unless you want to head overseas when it all gets a bit more complicated. But in this guide, we will show you how you can use your Firestick to watch all streaming services no matter where in the world you are. If you are travelling from one of these countries to another, you will need to change the country setting on your Amazon account or the device will not work. This is not the easiest process and involves deregistering and then reregistering your device again. It should also be stressed that there are different features and content available for Firestick users in different supported countries. This means there is no guarantee that everything you use on your Firestick will work. The only Amazon customers who can get around this are Eligible Prime members, who can also stream some Amazon Originals titles while travelling abroad without having to change country settings. For them, the Movies and TV Shows categories of the Fire TV menu will change automatically to include Watch While Abroad content. However, this is also a restricted range of content. If you are travelling anywhere else, the Firestick will not be able to work abroad. Unless you use the workaround detailed below. Will all my Firestick apps work abroad? No. Most of the popular streaming apps people use on an Amazon Firestick, such as Netflix, Amazon Prime, and the BBC iPlayer, will not work abroad. This is because these services are all geo-restricted to their country of origin. This means, for example, that UK-based Netflix subscribers cannot watch UK Netflix abroad. They will just get an error message. Even if you go through the setting change process above, the majority of these apps will still not work. Is there a way to make the Firestick work abroad? Yes. Firestick users can make their device work from just about anywhere in the world if you use a Virtual Private Network or VPN. A VPN works by rerouting your data traffic down an encrypted pathway and via an external server before sending it to its intended destination. When it passes through an external server, it is tagged with the IP Address of that server rather than that of your connection. For most users, this is a privacy feature as it renders them largely anonymous online. But it is also a useful tool to get around geo-restrictions, such as the ones employed by the Firestick. This is because the way the Firestick and the majority of its apps stop you from using them overseas is by looking at your IP Address. If this tells them you are not in the UK, they will not allow you to use their service. But, if you connect to a VPN server based in the UK, your data will be tagged with a UK IP Address. This fools these services into thinking you are in the UK and so they allow you to use them as usual. 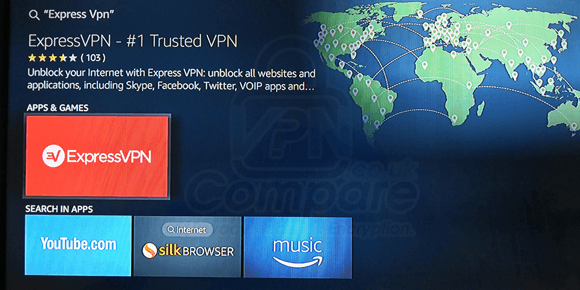 What’s the best VPN for Firestick users? Until recently, installing a VPN onto a Firestick used to be a bit of a hassle. But ExpressVPN has changed all that. A few months ago they launched one of the very first dedicated Amazon Fire TV / Fire Stick apps. This means that rather than having to manually install the VPN, you can just head to the Amazon app store and find the ExpressVPN app waiting for you. This is not the only reason that ExpressVPN is, in our view, the best VPN for Firestick users right now. They offer fast and reliable connection speeds which are ideal for streaming media content. They also have top-level encryption and privacy policies which means you are guaranteed some of the highest levels of security and privacy from any VPN provider. Even more importantly, ExpressVPN offers an extensive range of servers for you to choose from. They have more than 2000 servers available in more than 94 countries around the world, including the UK, USA, and all the other Firestick-supported countries. This means that every Firestick users will be able to use ExpressVPN to connect to a server back home. This means that no matter where in the world you are, ExpressVPN will allow your device to function just as if you were sat on your sofa at home. 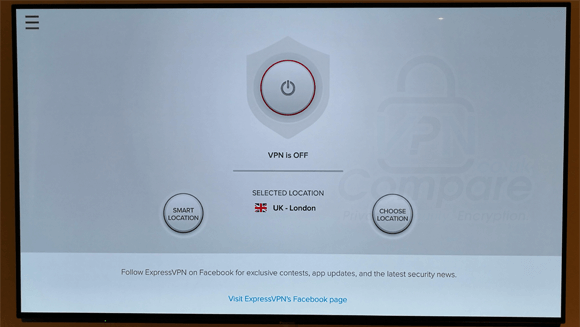 How to install ExpressVPN on a Firestick? Sign up for ExpressVPN. You will need to do this on their website as you cannot do it directly on their Amazon app. Switch on your Firestick and on the homepage, navigate to the search icon, which looks like a magnifying glass. Start typing ExpressVPN – below the keyboard you see the word ExpressVPN appear. Click on it and the ExpressVPN app window will open. Click Install to download and install the ExpressVPN app. Open the ExpressVPN app and where prompted enter your ExpressVPN account username and password or activation code. Once the app has opened, you can simply click Connect to be automatically connected to the closest available server to your actual location. Alternatively, you can select a server by country and city by pressing Choose Location. Click the back or home button on your Firestick remote to leave the ExpressVPN app and then continue to use your Firestick as usual. ExpressVPN will remain running in the background. There is nothing more to it, you can now enjoy using your Firestick anywhere in the world. I’m in Milan & cannot get bbc iPlayer, amazon prime etc even with express vpn…..any advise. The express vpn live web chat said it’s not possible on a fire Stick? Hi, Amazon Prime definitely won’t work but BBC iPlayer should. If you can’t get the BBC iPlayer app working you should download and install ‘Silk Browser’ or ‘Firefox’ then open that app and visit the BBC iPlayer website directly (of course while connected to ExpressVPN UK). It will then work. Let us know how you get on.